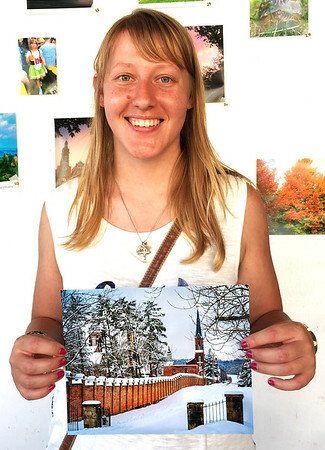 Julie Brown, Oldenburg, won first place, $100 and a beer stein in the fest's photo contest for "Snow in Oldenburg." The competition was organized by Cheryl Webber of Webber Photographics. Diane Brunsman hand-painted the stein awards.